KTM has become extremely popular in India within a short span of time. The bike that made KTM a household name is the Duke 390. This bike had set new standards for small engine motorcycles and raised the bar much higher. The 2019 KTM Duke 390 is in the works and will be launched next year. This time the bike will get further upgrades and also some new features. 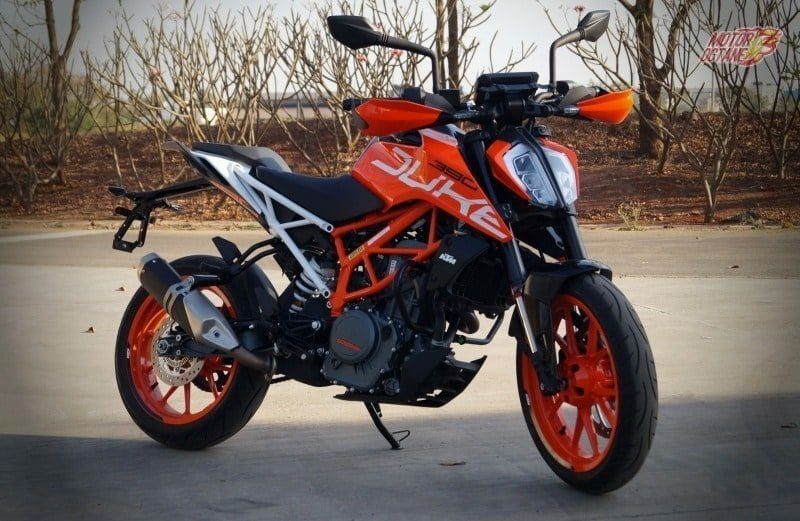 The first gen KTM Duke was raw whereas the next gen bike was much more refined. The new gen Duke 390 looks very different from the earlier version. It is based on the larger Dukes. Its has take a sleeker approach in design. Features like split headlamps, daytime running LEDs, LED taillamp, TFT screen have made it much premium now. A new suspension setup also goes great lengths to improve ride comfort. The 2019 KTM Duke 390 will get the same 393cc engine. The power and torque figures will not change either. The gearbox will remain the same six-speed unit. Features like Ride-by-Wire technology and also a slipper clutch. 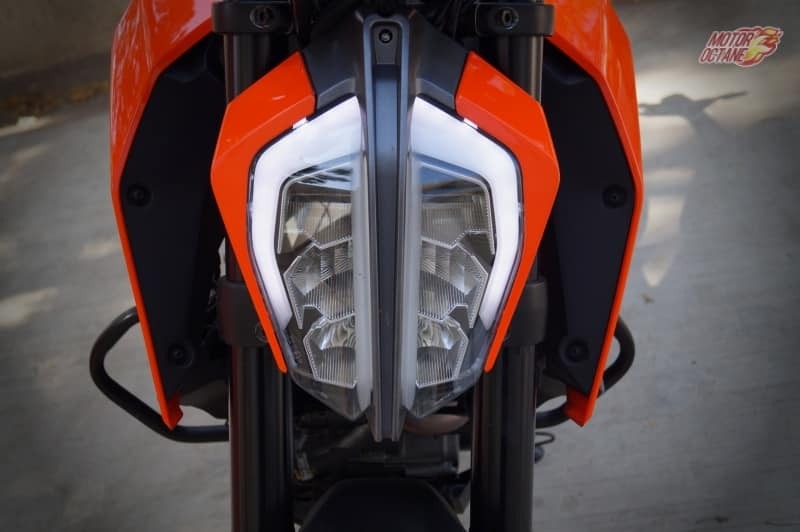 What will the 2019 KTM Duke 390 pack in? Read further to know more. The 2019 KTM Duke 390 will not see any major difference in pricing. The bike will have more or less the same features and hence the prices will not vary much. The new Duke 390 will be priced around INR 2.6 lakhs (on-road, New Delhi). 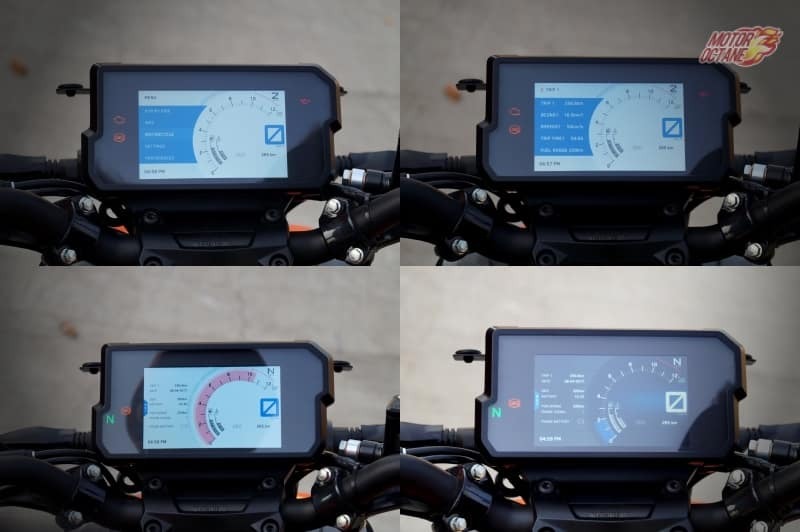 The 2019 KTM Duke will get the same TFT screen that is available on the cutest model. However, this time it will also get navigation. This will be a good add on. The current model alley had the software to support sat nav and this time KTM all introduce it in the 2019 model year bike. Most of the other features will remain the same. The TFT screen will be the same unit. However , this time to will have navigation as well. This is an adaptive one and adjusts its brightness as the the light conditions. The bike also gets a slipper clutch, ride-by-wire technology and also rear disc brakes. There will be a side slung exhaust on this one too. 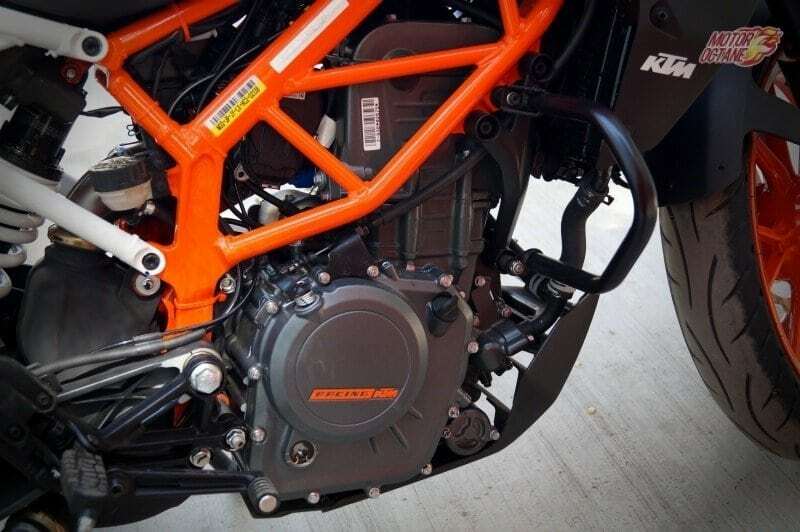 The 2019 KTM Duke 390 will be powered by the same 373cc engine. It will churn out 43bhp of power and 37Nm of torque. This engine will come mated to a six-speed unit, which will feel slicker this time. A slipper clutch will continue to be there for better control . The Ride by Wire technology will help in better and more responsive acceleration. The 2019 KTM Duke 390 will get dual channel ABS by Bosch. The front disc brake will be the same four-piston radial fixed caliper one with a 320mm disc. The rear brake will be a single-piston floating calliper with 230mm disc. It will also have slipper clutch for better control. In terms of fuel efficiency, the 2019 KTM Duke 390 will return about 35 km/l on the highway and about 28 km/l in the city. The mileage will not change much from the current motorcycle. 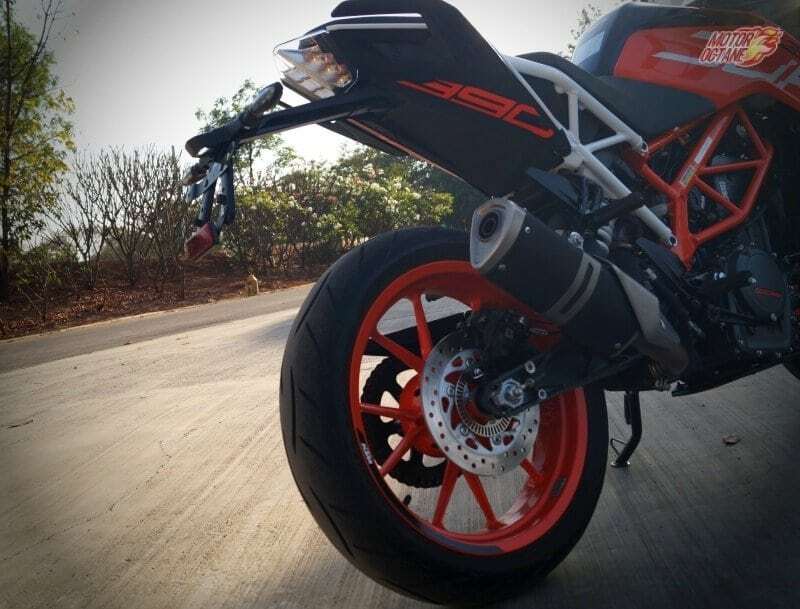 The Duke 390 focusses more on performance, hence fuel efficiency is nit the major criteria here for a buyer. The upcoming BMW G310R, Apart form this, the TVS Apache 310 R will also a possible competition. The Dominar 400 is another strong competitor and share the same engine, however, with varying power and torque figures.KTM will hope to keep the competition at bay with the launch of the 2019 Duke 390.